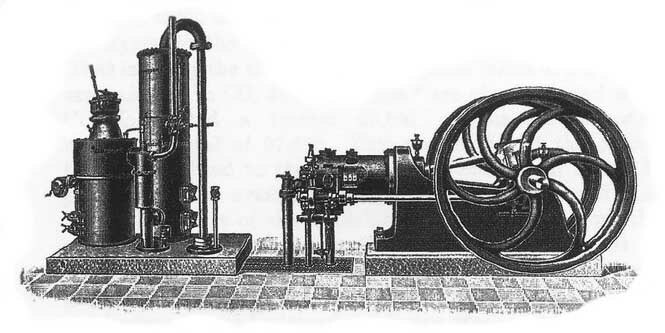 This page is your place for Stationary Gas Engines and Steam Traction Related Equipment. if you restore an old engine, don't you want to do something with it? This page is the place that may "hook" you up with some of this old stuff! and we'll see it gets attention.......Just make sure to include the word "Misc" in the subject line! Harry's Old Engine Home Page - Collecting, restoring and showing antique stationary gas, gasoline and steam engines. Preston Services - Suppliers of Steam Engines and Spare Parts. Scholl Engine Shop - Widely known in the antique gasoline and steam engine community as a vast resource for information, parts, and contacts. Steam Up Website - Pictures and information on hundreds of traction engines, steam rollers, ploughing engines, steam tractors and wagons. Steam Era Website - Home Of The Ontario Steam and Antique Preservers Association. The Antique Engine Shop - Neat little sites with one collector's engines on display. Nick's Fuller & Johnson Hope Page - The only website devoted exclusively to the engines manufactured by Fuller & Johnson Manufacturing Co. Madison, WI. Davis Antiques and Scale Model Engines - Tons of Antique Engine stuff on this website! MainelyMagnetos.Com - Company rebuilds magnetos for cars, trucks, tractors, motorcycles, and stationary engines. Shelor Steam Homepage - If your in to steam traction engines, check out this site! Marvin's Maytag Shed - Great stuff about the Maytag engines on this website. Wisconsin Historical Steam Engine Association - Site built arund the club's purposes of the education and preservation of steam traction engines and all kinds of vintage steam and related machinery, engineers, and the promotion of safety in the operation and management of traction engines and vintage engines and boilers. The Lancashire Traction Engine Club Ltd - Primarily Steam related context but a very interesting site to explore. Traction Engine Club of Ulster Website - Lots of related info here. Engineeers and Engines Magazine - BiMonthly Magazine for all Steam, Gas, Tractor, Railroad, Loomotive and Farm Machinery Enthusiasts.